Once again Carol Holt is participating in the Apex Fun Run this year! 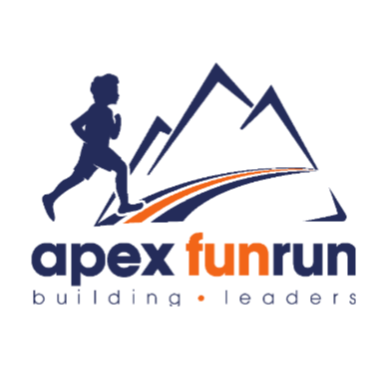 The Apex program teaches leadership and fitness to our students who are raising pledges for the Fun Run next Thursday, November 8th. This year's character theme is Apex STRONG! Students will join the Apex Team on an exciting journey as they learn what it truly means to strong as a team. Students are raising pledges for the laps they will run on Fun Run day (between 26 and 36, 36-lap max). Each lap is 1/16th of a mile. For instance, $1 per lap means $30 dollars total pledged if the student runs 30 laps. Our class has a goal of reaching $5 per lap for each student, or $150 simple donations. Here's the important part! The majority of the funds raised this year will go to our school, However, the PTA has agreed that 10% of whatever we raise in each class goes directly to that teacher to use in their own classroom. Please help your child's class reach their goal by talking to family and friends about pledging for your students. A great way to do this is to use the feature called the “Share Wizard” found on your students pledge page. It’s super easy. The Share Wizard is an awesome tool that allows you to send texts, emails and share posts on Facebook and Twitter to help your child get sponsors for the fun run. If you need your child’s access code to login at www.myapexevent.com, please contact your child's teacher. We hope to see you at the Fun Run next week!